The Nutopians is a unique and compelling 7-piece ensemble that celebrates the genius and artistry of John Lennon. Created and led by Rex Fowler of Aztec Two-Step and Tom Dean of Devonsquare, the ensemble gives remarkably fresh treatments to Lennon’s best and least known Beatles and solo song compositions that often inspire a whole new appreciation for the icon’s music. The Nutopians’ awe-inspiring live show features poignant song narratives, and like their award winning CD “Imagined,” compelling lead singing and 3-part harmonies. Known for their impeccable musicianship, the band members play an impressive array of instruments that include acoustic 6 & 12-string, electric and bass guitars, cello, violin, mandola, accordion, piano, chromatic harmonica and light percussion. 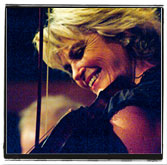 The band’s arrangements, in a series of single and mini-medleys, often weave melody and lyric in new and unexpected ways. The Nutopians "Imagined" CD wins Independent Music Awards Vox Populi “2010 Tribute Album of the Year” for Interpretations of John Lennon’s Beatles and Solo Compositions. After two and one half years of touring, the Nutopians have released a new collection of John Lennon songs re-imagined and inspired by the 100 or so live performances at some of the finest theaters in the East. Credits here. Rex Fowler and Tom Dean emerged as prominent folk/rock artists in the 1970s. Rex’s band, Aztec Two-Step, burst upon the scene with their self-titled debut album on Elektra Records in 1972. This and their three subsequent albums on RCA Records were staples of college and progressive FM radio and helped usher the music of the 1960s into the 70s and beyond. Collectively Rex and Tom have toured worldwide, been reviewed in Rolling Stone, performed on David Letterman and shared stages with such musical luminaries as Bruce Springsteen, Bonnie Raitt, Jackson Browne and The Band. Along with their passion for interpreting the songs of John Lennon, the two lads continue to distinguish themselves as esteemed songwriters, performers and recording artists. 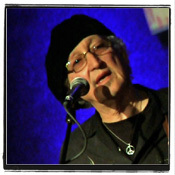 As a singer, songwriter and producer of the distinguished folk/rock band Devonsquare, Tom's song "Walking On Ice" helped earn them a coveted record deal with Atlantic Records in the 1990’s. As producer, arranger, singer, multi-instrumentalist and co-leader of The Nutopians, Tom brings a wealth of experience, charm and talent to the stage. 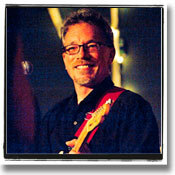 Rex Fowler is one-half of celebrated folk/rock duo, Aztec Two-Step. 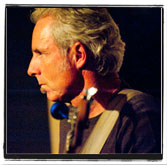 As mastermind, co-producer/arranger of "Imagined," Rex brings his unique and expressive voice, along with insightful song narrations to the band’s live show. No one who’s is familiar with Rex’s career is surprised by the beauty and depth of his amazing Lennon interpretations. 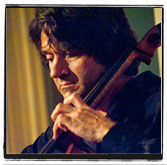 Jordan has recorded and toured with an illustrious list of internationally known artists and bands, including Broadway Orchestras and Theatre Groups throughout the U.S. and the free world. Jordan brings a wealth of musical knowledge and sophistication to The Nutopians. We are extremely honored to have both Mr. Jancz’s musicianship and good vibrations in our band. As a lead singer, songwriter and founding member of Devonsquare, Alana brings passion and excitement to the John Lennon Song Project. Her powerful yet expressive lead vocals and honey butter harmonies, coupled with her vibrant violin playing and sparkling stage presence helps propel The Nutopians sensational live performances. Thomas Evers Glendon has been a revered contributor to Maine’s resurgent music scene more than 30 years. As a member of the Franklin Street Arterial, Portland’s renowned jazz fusion band, and as the treasured bassist with Devonsquare, Teg’s is the rock-solid foundation on which The Nutopians build their live show. Teg is also the only band member to have seen the Beatles perform live! 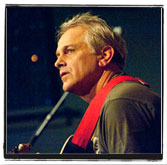 Robby Coffin is one of Maine’s most respected guitarist. 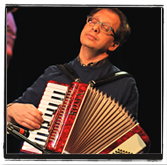 He has recorded and toured with such notable artists as Peter Paul and Mary, Jeff Pevar, Dave Mallett and of course Devonsquare. Robby constantly blows away our audiences with his ingenious guitar styling’s, bringing rich and sundry colors to the sound palette of The Nutopians’ concerts. Gary was a featured guest soloist on Chromatic harmonica for Sir Elton John at the 2012 Rainforest Benefit at Carnegie Hall. Gary has also either written, arranged, produced or performed with an impressive array of international headliners including Sting, Patti Labelle, Carly Simon, Joan Osborne and Yoko Ono. Gary the cherry on top of our amazing band. 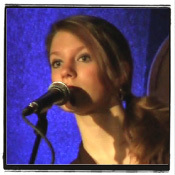 Sixteen year-old singing sensation Maggie Coffin is a gifted and multitalented young artist honed by countless performances with her father Robby since the age of 9. Maggie still occasionally joins the Nutopians for a special event.